Despite what popular culture might say, at Yarmouth Mazda, we believe that buying a used car in Nova Scotia should actually be an enjoyable experience. Our knowledgeable and friendly sales staff always goes out of their way to take away any worries you might have about buying a pre-owned vehicle. If you are just beginning the process, and aren't quite sure where to start, Yarmouth Mazda wants to get you going in the right direction with these four helpful tips. 1. What Kind of Car Do You Need? Once you've narrowed down your needs, it always helps to do some research. Have a general idea of what model you would prefer before shopping. As always, the sales experts at Yarmouth Mazda are here to help, so don't be afraid to reach out. Having a budget is important when you make any major purchase, especially when you buy a used car. The key is to be realistic about what you can afford to spend and stick within those parameters. If you chose to finance your used car, most experts will advise you not to spend more than 20% of your monthly income. It is also important to remember that things like taxes, fees, and insurance costs will add about 10% to the final price, so you need to put that aside as well. If you do a little bookkeeping before you come to Yarmouth Mazda. Of course, this is also not a time to cut corners, so don't always go for the cheapest option, it could cost you more in the long run. Yarmouth Mazda also has pre-owned vehicle specials, so check on those as well. Since you'll be spending a good portion of your life in your car, a test-drive is a must. A test-drive will allow you to make sure that you're completely comfortable in your used car. We suggest checking out things like headroom, hiproom, legroom, and seating comfort. Also, you will want to check the entire car over for any cosmetic or mechanical defects during this process. At Yarmouth Mazda, we never will sell you a used vehicle without the proper Used Vehicle Information Package. You can also do some of your own sleuthing by checking the vehicle history report for any accidents or had major repairs. The experts at Yarmouth Mazda believe that if you follow these four tips, the entire used car buying process will be much easier for everyone involved. 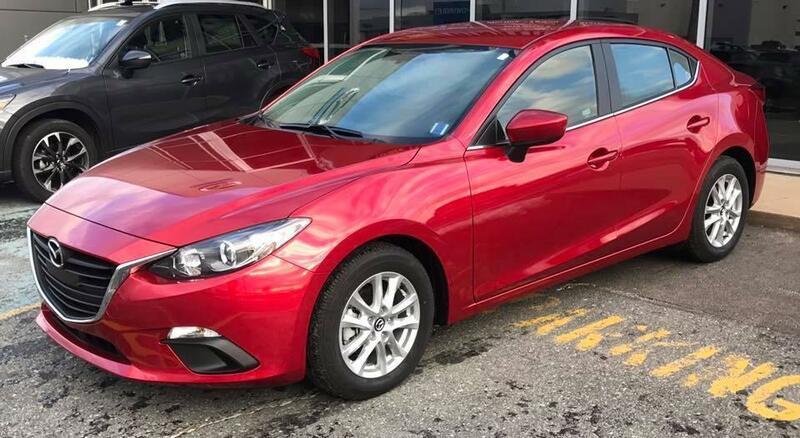 If you still have questions about whether a used car from Yarmouth Mazda is right for you, please feel free to contact us or drop by the Yarmouth Mazda dealership. We're here Monday-Friday 8am-5pm and can't wait to help you find the perfect new or pre-owned Mazda for you and your family.